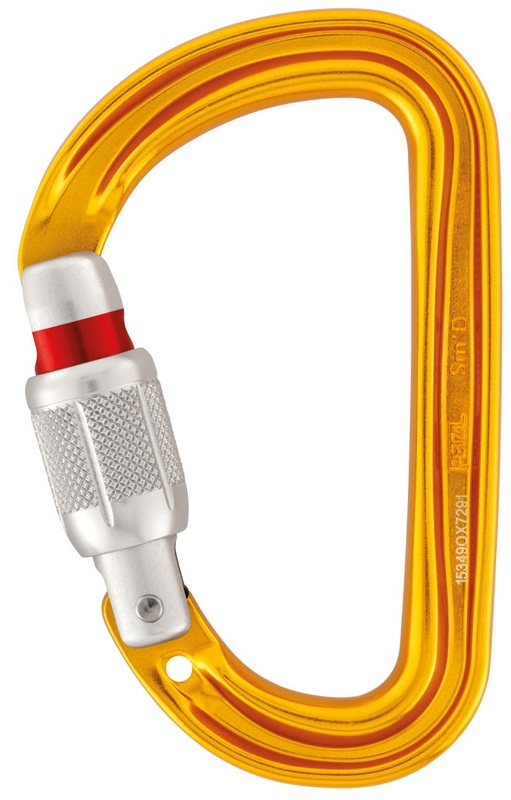 The Petzl Sm'D has much in common with its brethren: a modified "D" shape, manually locking gate that snaps closed reliably, and an aluminum body. The special characteristic that sets this carabiner apart is the small hole just below the gate on the body. This hole is specifically designed to tie a keeper sling for your Tibloc or Micro-Traxion, two valuable items that deserve the security this carabiner can provide. 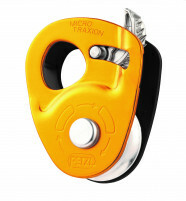 Keep your ‘biner free of clutter with the Petzl Sm’D. H-profile contributes to better grip when wearing gloves. Special hole allows you to tether a Tibloc or Traxion. Notes Nice visual clue when locked. Hole allows for Tibloc keeper cord. Bottom Line Lightweight locking biner with smooth operation.